Amazon and Walmart's latest battle could be a tug-of-war over India's biggest online retailer. The US companies are angling to buy a substantial stake in Flipkart, India's most valuable startup, according to media reports. Both firms reportedly value Flipkart at $20 billion, about $8 billion higher than the most recent estimate from data firm CB Insights. Rumors that Walmart (WMT) wants to invest in Flipkart have been making the rounds since 2016, but the saga appears to be nearing a conclusion: Reuters reported on Thursday that Walmart is just weeks away from reaching a deal to buy a majority stake. Walmart declined to comment, while Flipkart did not respond to a request for comment. Amazon (AMZN) could yet spoil the party. It has invested billions in India in a bid to challenge Flipkart in the world's fastest growing major economy, and could swoop in with a last minute takeover bid. It has reportedly offered up to $2 billion as a "breakup fee" -- an insurance policy of sorts that Amazon would pay Flipkart if the US company backed out of takeover talks. "We do not offer comments on rumors and speculations," an Amazon India spokesperson told CNNMoney when asked about the company's alleged overtures to Flipkart. So what makes the Bangalore-based company so attractive to America's retail giants? An explosion in smartphone adoption and internet access, coupled with rapid economic growth, could make India's e-commerce market worth $200 billion by 2026, according to a report last year by Morgan Stanley. Amazon CEO Jeff Bezos -- currently the world's richest man -- has made his intentions clear, saying in 2016 that he saw "huge potential" in India. The company has rapidly expanded its Indian business, introducing its Prime video and music services as well as its annual Prime Day blockbuster sale. "Amazon is looking to reduce costly competition [with Flipkart] so that it can focus on developing its business," Siddharth Shekhar Singh, a marketing professor at the Indian School of Business in Hyderabad, told CNNMoney. "The rivalry has taken focus away from spending in other areas." Walmart, meanwhile, has been trying to open brick-and-mortar stores in India for years but it has been thwarted by restrictive rules on foreign investment. Its presence is currently limited to 21 wholesale distribution outlets. "Walmart ... has lots of retail experience that can complement the e-commerce business," said Sandy Shen, a research director at consulting firm Gartner. The US retailer is looking to get its foot in the door in a "strategic market for its global presence," Shen added. Flipkart is reported to be leaning towards Walmart, which -- unlike Amazon -- is not a direct competitor, and could help it take on the US tech giant. A key area of potential collaboration is grocery deliveries, which Amazon received Indian government approval to launch last year. "Flipkart will also benefit by bringing its online business offline," analysts at BMI Research wrote in a recent note. "Through Flipkart's partnership with Walmart, the e-commerce firm will be able to add groceries to its product portfolio." 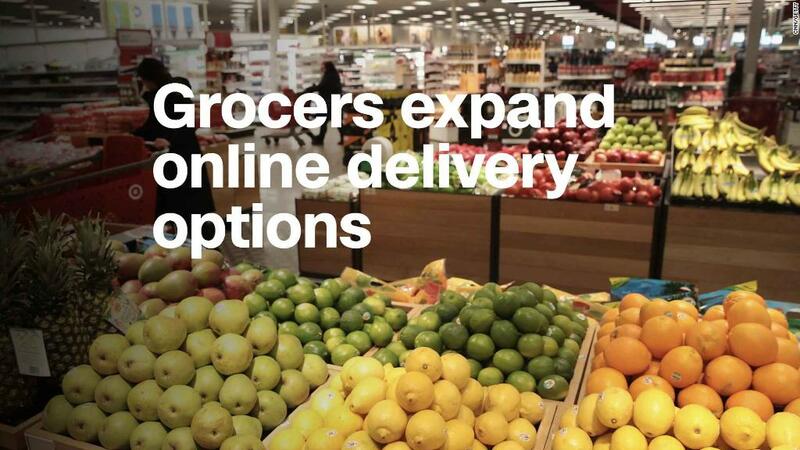 Walmart and Amazon are already locked in a grocery battle in the United States, with Amazon's recent acquisition of Whole Foods and Walmart's plans to expand online grocery deliveries to 100 cities by the end of this year. Singh, from the Indian School of Business, said that while Walmart could give Flipkart a lot of ammunition in its battle with Amazon, a deal between the two online retailers instead could avoid billions of dollars being wasted on a fight to the death. "The marketplace model of both Amazon and Flipkart would likely allow only one major player to survive," he said. "The situation is not healthy for either company, and they would continue to bleed."